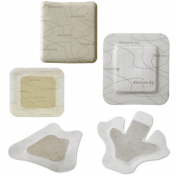 Biatain® Foam Dressings are Adhesive Dressings that are made of a unique 3-D foam that provides optimal Wound Care by locking away moisture. Biatain Adhesive Foam Dressings are soft to the skin and adding very little pressure to the sensitive area around the wound. 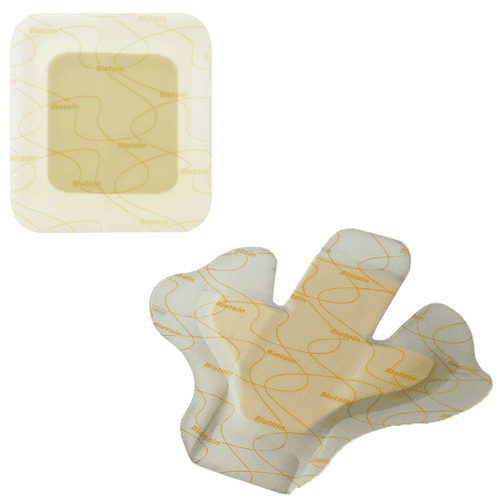 This very flexible Wound Dressing is manufactured by Coloplast and may be used with leg ulcers, pressure ulcers, second-degree burns, donor sites, postoperative wounds and skin abrasions. 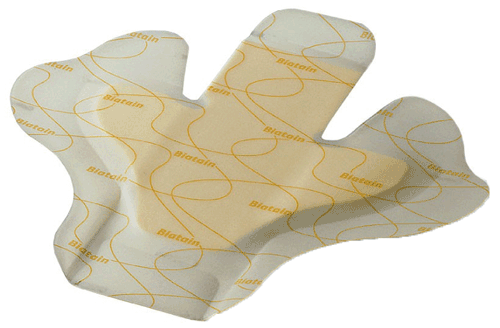 The Biatain Foam Dressing pad absorbs conforms to wound beds (even under compression) to absorb exudate and wick it away from the wound bed while maintaining a moisture balance to promote healing. 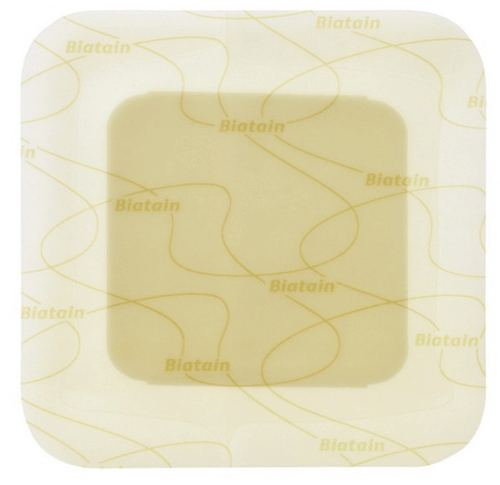 The adhesive borders make Biatain® Foam Dressings well suited for use on wounds with healthy peri-ulcer skin and in areas with a need for extra adhesion. The Biatain Adhesive Foam Dressings are an exellant wound care choice because of its high absorption and retention capabilities. 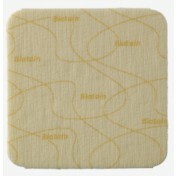 Biatain Foam Dressings are more comfortable and lower the risk of leaving pressure marks on the skin. Fast absorbency Foam Dressing for exuding wounds. 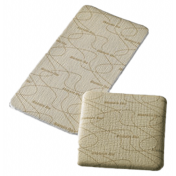 Provides an optimal moist wound environment and extended wear times. Up to 7 days of wear time. Size Options: 4 x 4, 5 x 5, 7 x 7, 7.5 x 8, and 9 x 9 Inch. Shape: Square, Heel, and Sacral. Construction: Polymer, consisting of highly absorbent foam and semi-permeable, top layer film. Biatain Adhesive Foam Dressing Product Numbers: 3420, 3430, 3488, 3485, and 3423.